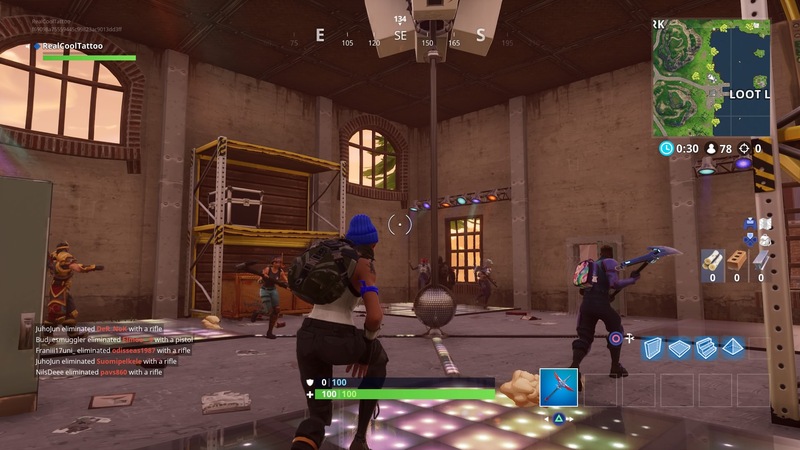 This challenge takes a little more preparation than most, so here’s how to dance with others to raise the Disco Ball near Loot Lake. Fortnite Season 5 starts this Thursday, so you’ve only got a few days left to complete this challenge. 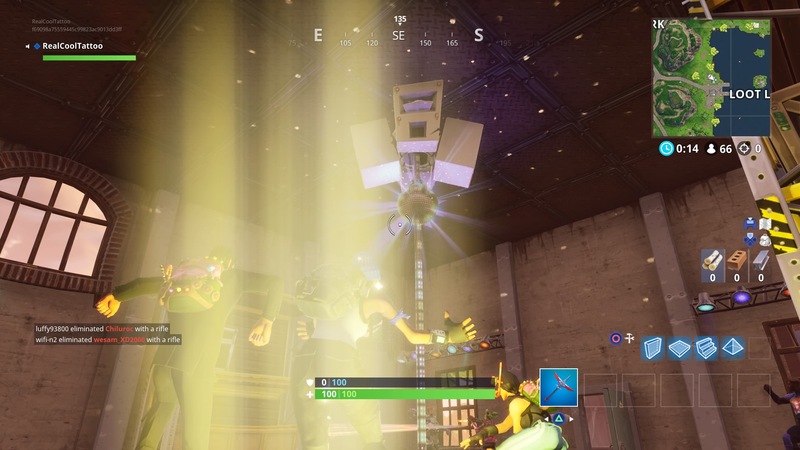 Dancing is a cornerstone of Fortnite, so it makes sense that many of Fortnite’s weekly challenges revolve around flailing your limbs in aesthetically pleasing ways. This challenge requires help from other people – at least three other people to be exact – so party up into a team of four or rely on the kindness of strangers. 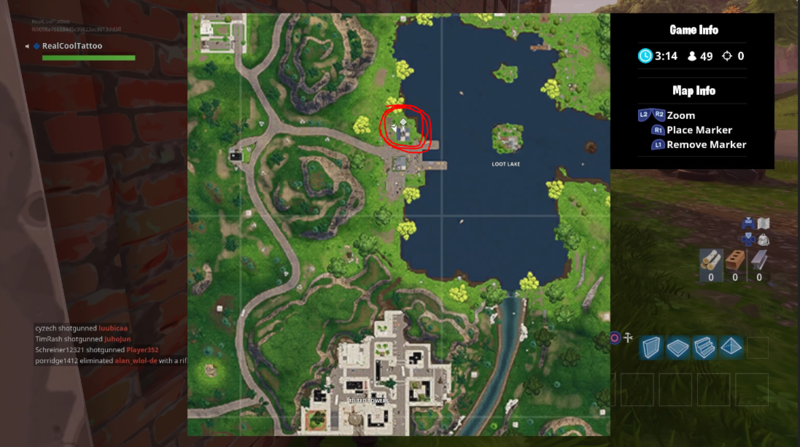 This is obviously easier to do if you’re playing in Squads. When it hits the top, you’ll see fireworks and the challenge will be complete! While everyone else is preoccupied with challenges, now might also be a good time to test out Fortnite’s first vehicle – which dropped with the new patch – the Shopping Cart. In other Fortnite news, it has emerged that the makers of PlayerUnknown’s Battlegrounds are suing Epic Games in Korea over alleged similarities between PUBG and Fortnite.